We loved the high altitude fresh air and the sweeping views down over Addo. Zuurberg has an old world charm and Henri and his team look after us in a way that is often missing in modern hotels. The food was excellent – I’m just sorry we weren’t around for the traditional Sunday carvery! Our day spent exploring Addo was a highlight – the girls saw so many different animals and birds. 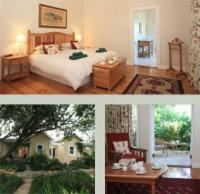 Zuurberg is ideally located as a base for day adventures into Addo. The more discernable guests and couples can treat themselves to one of our 26 Edwardian Village cottages. 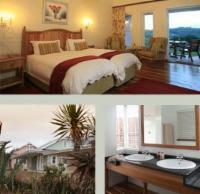 The cottages are arranged so that guests can enjoy both the spectacular mountain and valley views. Each cottage boasts 2 private patios on the east and west side, ideal for magical sunrises and sunsets. Other features include, black-wood floors, climate control, under-floor heating in the bathroom, a freestanding bath and an indoor and outdoor hot and cold shower. "EXCELLENT SERVICE, FOOD AND ACCOMMODATION. STAFF VERY FRIENDLY HIGHLY RECOMMENDED"
"It was an unforgetable stay. The people were very friendly and spoiled us a lot"
Pass the entrance to Blue Water Bay. You will see the Coega project on your left hand side. You will see the exit for the R335 (Motherwell / Markman) on your left hand side. Please turn left and continue with this road. You will come to the small town called ADDO. Please continue with the road. You will go across a railway crossing. You will travel a further 10 km till you see Zuurberg Mountain Village turn-off on your left hand. Turn left onto a gravel road and travel a further 16 km until you reach the hotel. If you go past the entrance to the Addo Elephant National Park, then please turn back. Follow the road until you see the N10 turn-off. Please turn right here. You will drive past SCHOTIA SAFARIS and continue towards Paterson. At Paterson you would turn left onto the R342. Continue on this road for the next 24 km. Drive past the entrance to the ADDO ELEPHANT NATIONAL PARK. Zuurberg Mountain Village entrance will be on your right hand side. You will turn right onto a gravel road and travel a further 16 km until you reach the hotel. S 33° 21' 071" E 25° 44" 674"